This should also phase-out discussions where people get mixed up in the product features and what they like about the product, against the upgrade license cost. Some who fondly remembed the enjoyment they had using the product, but ended being frustrated about the product due to the subscription they wouldn't or couldn't pay. 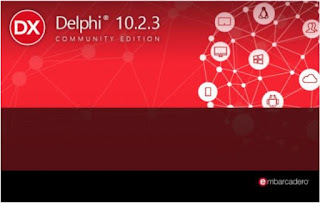 Just because I can't afford a Tesla X or BMW i8, does not mean they are bad products - one could sometime experience that just because Delphi has a price-tag, it got a bashing and free alternatives where thought better. By offering the Professional features in the Community Edition, it also enables some ex-users to re-discover the productivity of Delphi, compared to the free alternatives. I do spend time on free frameworks and library - and sometimes that can be very non-productive time. A product with a version available to a large community and an enterprise paid version - can let the developers innovate while paid, and share their creation with a larger public - that can be very motivating. A hope for the future, is that this move allows EMBT to break a bit of the backward-compatible mantra - that is a great thing in Delphi - but which has also stopped great feature requests from being added - since they could break the compilation of the FishTank demo from Delphi 1, without changing a comma in the old code :D.
Backward compatibility is one of the greatest strengths and a thing I am thankful for, but it should not be a showstopper, for adding new things that improves readability and productivity. A software developer ignorant company like Apple, has not even heard about the term backward-compatible - they move hardware - where backward compatible is considered bad for sales. Check the EULA, request a serial, download and start dusting off your old but well running hobby projects - and enjoy the newer features and contribute to the spreading of more happy Object Pascal code into the world.